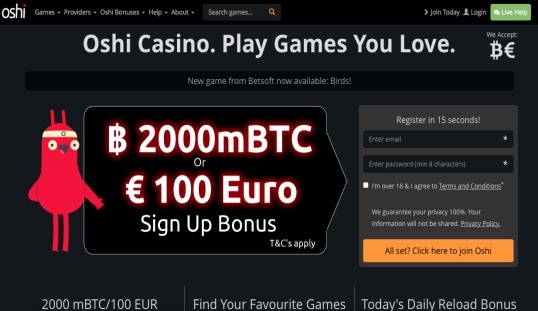 Oshi.io delivers a complete Bitcoin casino experience built on the SoftSwiss platform. It provides generous bonuses and prompt player support. 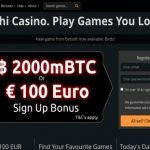 Oshi.io exhibits quality services comparable to long-established and reputable Bitcoin casinos today. With a broad selection of games, bettors are guaranteed to enjoy every minute of playing time. It debuted in 2015, and it is operated by SoftSwiss N.V., which is a company registered under the laws of Curacao. The casino’s marketing arm is spearheaded by 90 Limited Trading (90 Digital), which comes no surprise since its founder, Nick Garner, is the CEO of Oshi.io. CTO Tom Finlayson is the co-founder of this casino. This casino features more than seven hundred titles, including the classic favorites and all-time popular casino games. These include a multitude of slot games, poker games, blackjack, roulette, video poker, live games and numerous others. Oshi is constantly adding new games and providers to its roster so it’s always worth checking back to see what’s new. Moreover, Oshi.io practices honest gaming, so expect to see the presence of a provably fair system. Add to this the fact that its games have passed the tests performed by iTech Labs. Oshi prides itself on its navigation system which makes finding the type of game you want at any moment simple and easy. 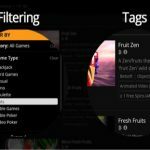 It boasts a comprehensive yet intuitive tag filtering system where you can find games based on attributes that interest you. 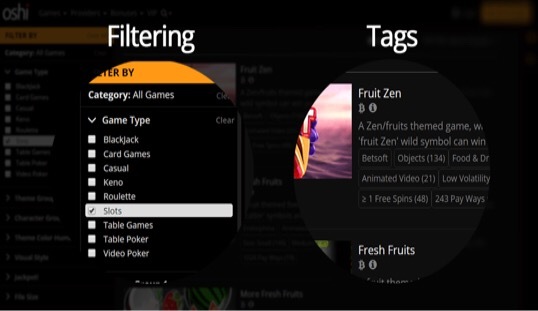 This is on top of search functionality that looks not just for game names, but their tags and descriptions as well. Additionally Oshi has a personalised recommendation system that suggests games for you to play based on what other similar players have played and enjoyed. There are many other personalised features that help tailor the Casino experience for each Oshi player. 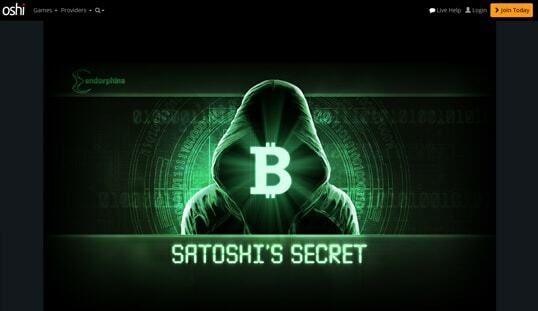 Being a Bitcoin-exclusive casino, expect to retain online anonymity the whole time (unless depositing to EUR,AUD,RUB or USD in which case your personal information will be requested). Registration merely asks for email address and password. The registration process is efficient and should take no more than a few seconds to complete. 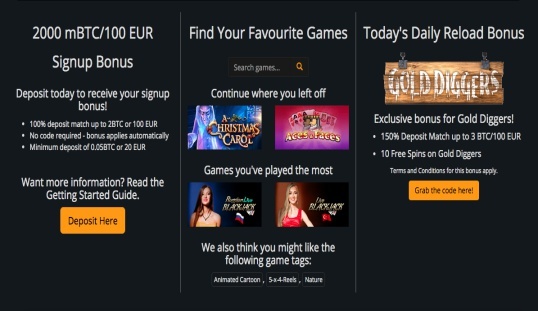 Payments can be sent via Bitcoin wallet to play in either Bitcoin or converted to Euros to play EUR-only games (such as those from Microgaming and NetEnt). The minimum deposit amount is 0.000055 BTC and 0.01 EUR. For withdrawals, a maximum cap is set, which adjusts according to the method of payment utilized. If a user exceeds this limit, the amount can be withdrawn in installments. The processing of withdrawals are made as soon as possible, but keep in mind that some may take up to three days before a request is completed. The minimum withdrawal amount is 0.00011 BTC and 10 EUR. Oshi does not charge any fees for depositing or withdrawing. 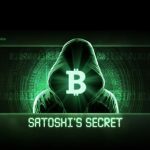 Bitcoin transactions will still need to pay the Miner’s Fee. New registrants of Oshi.io are welcomed with a 100% match bonus of up to 2,000 mBTC or 100 EUR for their first deposits of at least 100 mBTC or 20 EUR. 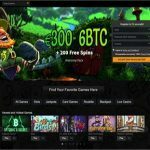 This is followed by three further 25% deposit match bonus offers that yield rewards of up to a total of 6 BTC or 300 EUR. Oshi also offers a number of reload bonuses. There are no-code deposit bonuses on Monday, Wednesday and Friday, offering either bonus deposit match amounts or free spins. 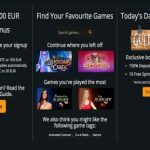 There are also Daily Reload Bonuses that offer free spins on a number of exciting Betsoft games in addition to a deposit match. These bonuses have a code that can be viewed when logged in. All bonuses have a 40x wagering requirement. Oshi Casino offers a wide range of Random Daily Reload Bonuses too, and these are one of the players’ favorites. 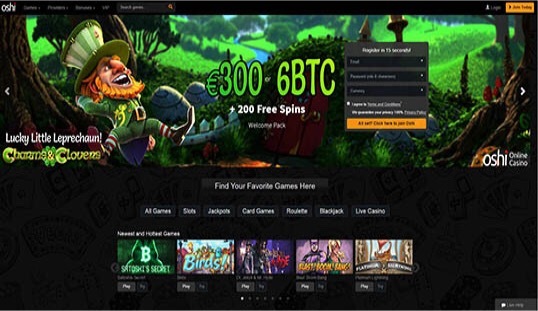 With providers such as iSoftBet, Amatic, Ezugi, SoftSwiss, NetEnt and Microgaming, Oshi has a number of mobile games that are just as good as their desktop counterparts. When logging in on a touch device, Oshi automatically presents the games that work best for that device. No more trying to install Flash on your iPhone! Oshi.io takes good care of each player by providing a contact form and a live help section where all questions and technical difficulties can be raised.